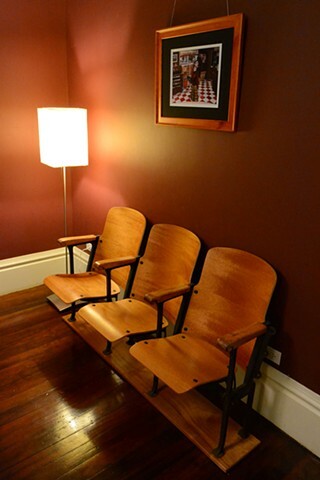 I found these old 1920's theatre/ stadium seats on the curb in Williamsburg, Brooklyn last winter. I took them apart, and brought them back to California with me to be restored. The seats and backs are Mahogany. The armrests are original - maple.